Ravenwood Runway is one of the top highlights of our fashion year, by far. Ever since we discovered this gem 3 years ago, we've continued the tradition of heading out to Brentwood to be amazed by what these young stars are producing. 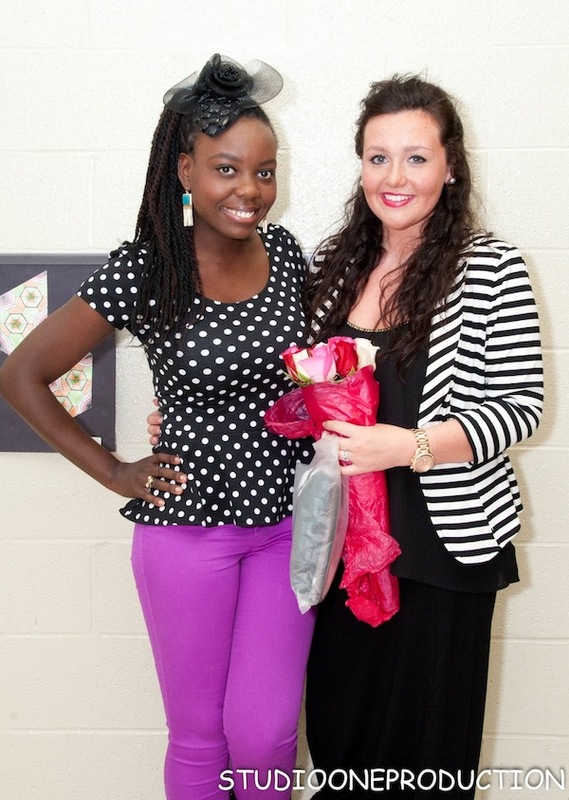 Sabrina Maggart is the fashion design teacher at Ravenwood and I've been told by students that she is a great inspiration to many of them and why they love to design. And boy does it show-her dedication and hard work has produced some very innovative and skilled designers. 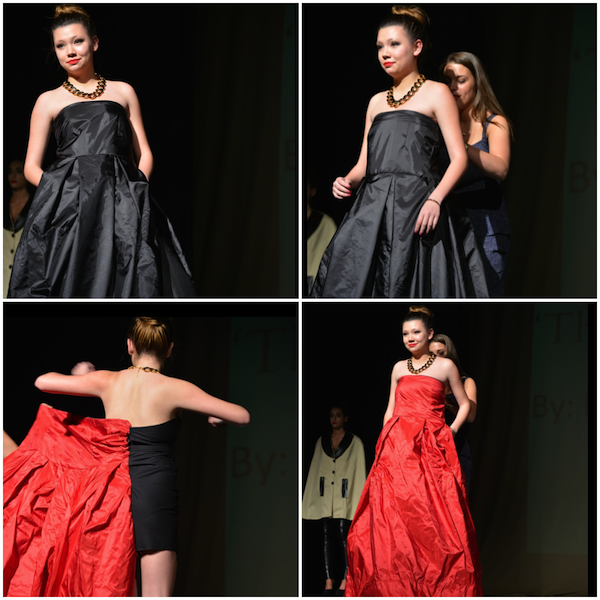 Let's take a look at a few of my favorite pieces from this year's 5th Annual Ravenwood Runway. In the first half of the show, the "Sharpest Tulle in the Shed" had one of my favorite pieces. What can I say? I'm a sucker for tulle:) There was a deep purple gown with a tulle belt around the waist, in a lighter shade of purple, and also a mermaid style bottom of tulle from the knee down. Simple, chic, but makes a statement. Next, in the Textile Collections, the "City Silhouettes" really grabbed my attention. There was a gorgeous black and white gown with sheer paneling at the bottom, and the same mermaid style bottom as the previous dress. The white in the middle gives a nice shape to the body and I'm totally a fan of the sweetheart neckline. In the Private Collections, I would be crazy not to mention how absolutely adorable the "Tutu Much Fun" children's wear was. 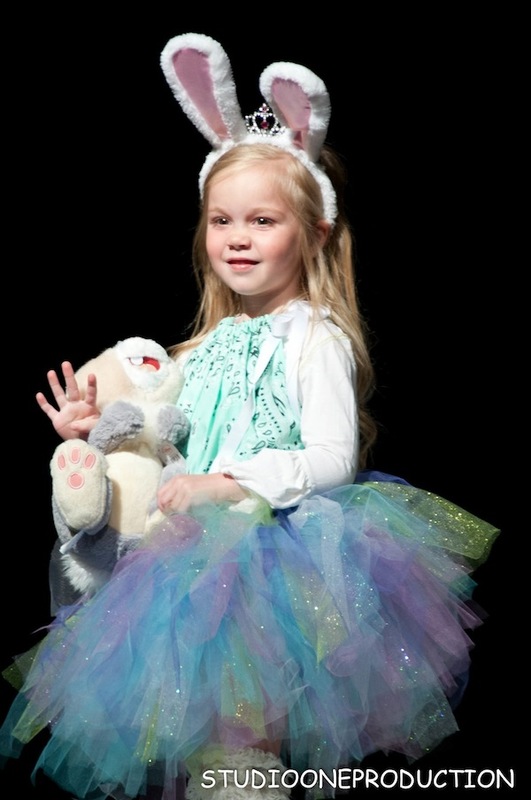 Claire Hensley and Presley Hill managed to find the most precious kids on the planet to model for them. How cute were those kids?! 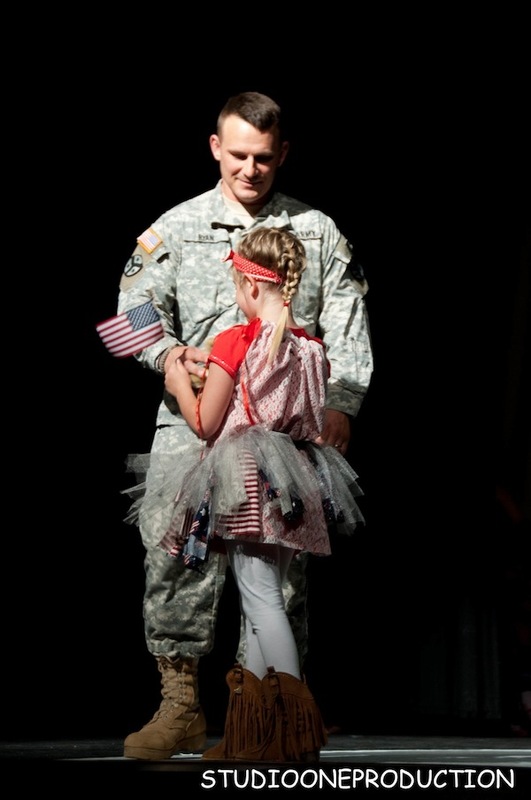 I love that there was a moment at the end with, what looked to be, a showing of appreciation for our troops with a daddy-daughter duo. 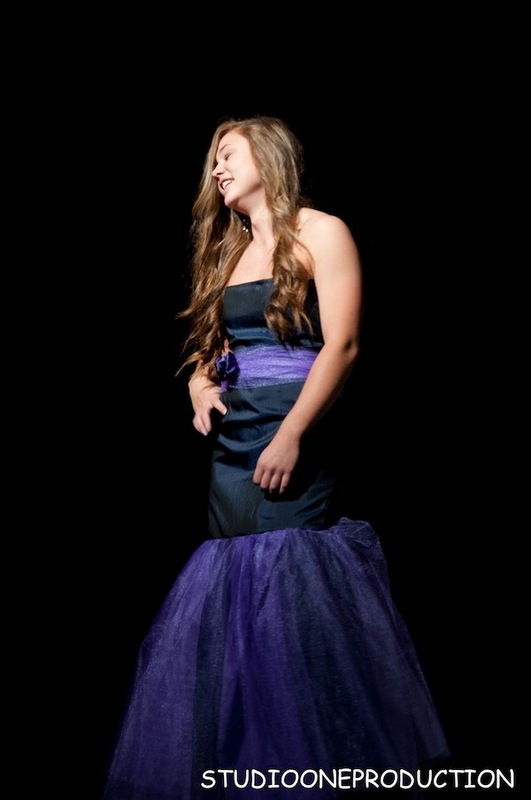 Another standout was the finale dress in "The Big Apple" Collection" by Morgan Hunter. In our video, Morgan explains that her recent visit to New York was one of the inspirations for her collection and she wanted to make a statement and surprise everyone with her last number. I would say she pretty much conquered her goal for the evening. When the model twirled around out of her black gown and was instantly transformed into an 'apple' red gown, the crowd went wild-first with oooohs and aahhhs and then an eruption of applause. My favorite of the Private Collections (and of the night, as a whole collection) has to be "Serendipity" by Lilly Reynolds. I love the originality and range of it all. There were pants, a short suit, dresses, and gowns. Something for everyone! And the colors complimented each other very well. I also enjoyed the attention to detail. The backs of her pieces had interesting aspects to catch your attention. 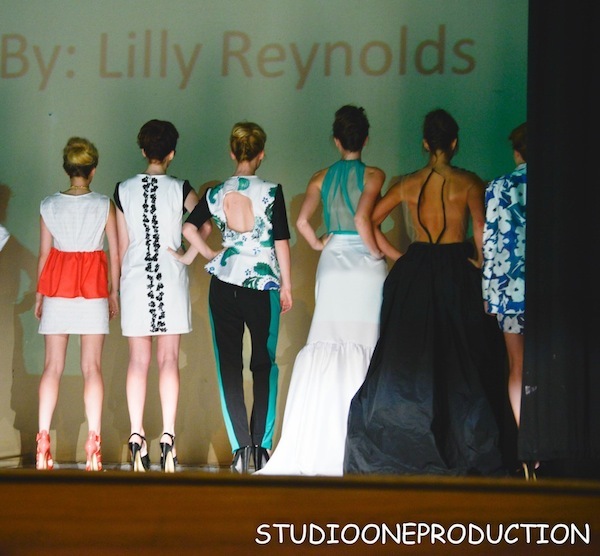 I met Lilly last year when she showed her nautical-inspired collection "Set Sail" and I knew she was special. Her presentation was like no one else's of the entire night. Now you know what they say, first impressions are lasting ones. After that display, I was sold-thoroughly impressed with the showcase and what she had produced-not only the clothes but also the hair and makeup as well, and shoes for some of the models to create the exact look she wanted. As the winner, we offered Lilly the opportunity to allow us to shoot her collection last summer. The Creekwood Marina by the lake in Hendersonville, TN was a perfect background to "Set Sail" if I do say so myself. It was no surprise that she was last year's Private Collection Winner and returned to reclaim her spot again as this year's winner, as well. I am excited to see her grow and expand her craft as she leaves for LA to attend FIDM (Fashion Institute of Design & Merchandising). I just hope that she will bring some of her (what I am confident will be) incredible future designs back for us in the near future to continue to enjoy. This school produces many talented designers-and here's a true testament to that.....Our first year, Will and I were just spectators and were honored to be invited back the following year as judges! Not only was I a spectator the first year-I was instantly a fan! In particular, one student's creation stood out to me the most that night. 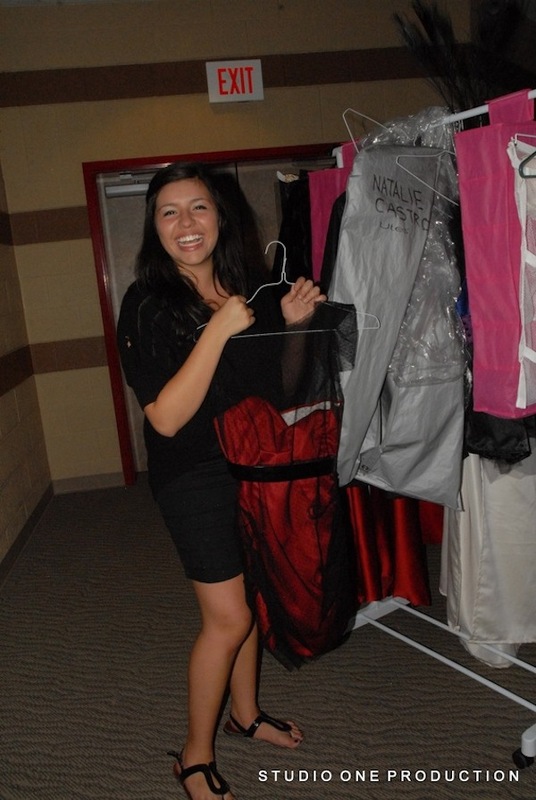 Natalie Castro was a junior when she created a beautiful red satin dress with a black, sheer overlay that I fell in love with as soon as it hit the stage. 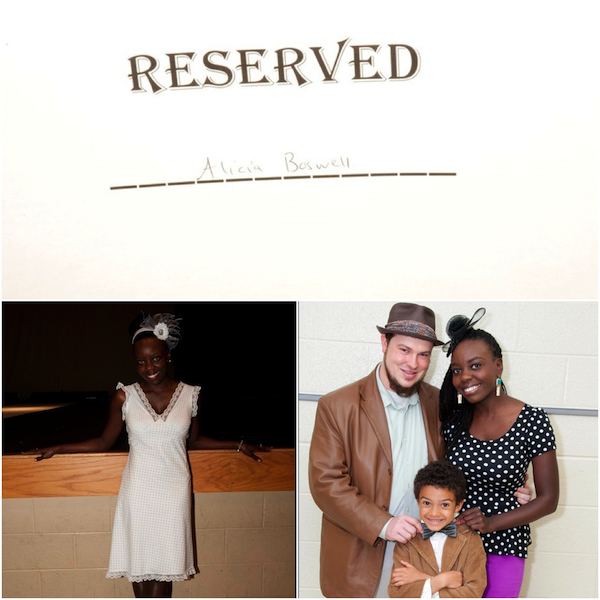 So much so, that I graciously asked to be permitted to wear the dress to Nashville Fashion Week 2012. And let me tell you, it was a BIG hit. I got compliments all night long. 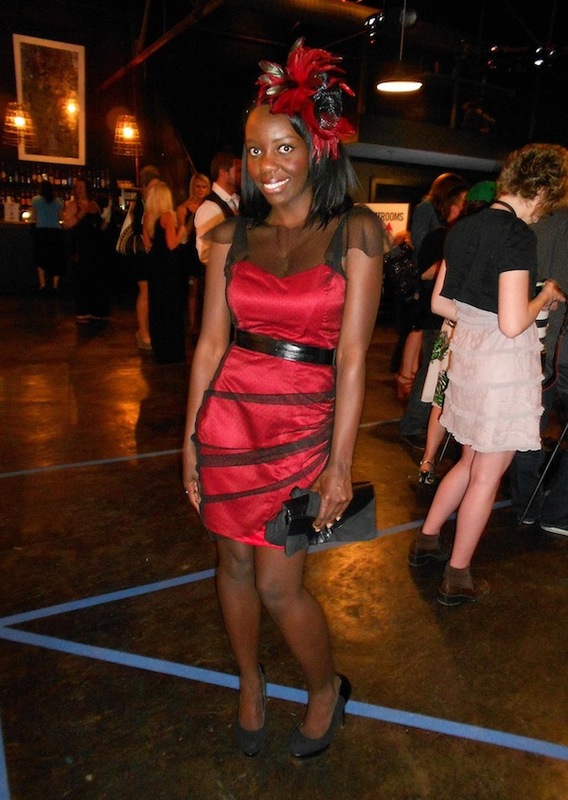 And when I stated that a 16 year old high school student made it, people were flabbergasted and still ask me about "that great red dress" to this very day! If you know me, you know I love to introduce Nashvillians to all of the skilled fashion talents they are compeltely unaware of. To say the least, they were thoroughly impressed that night and I have Ravenwood to thank for that. It's my very own true, fairytale fashion moment for the archives. And that's what I love about fashion and this city. Always a chance to discover new, untapped treasures. This, my friends, is the reason I love to support local talent-especially from Ravenwood High School. See you guys next year!